Just like your inbox, but better. 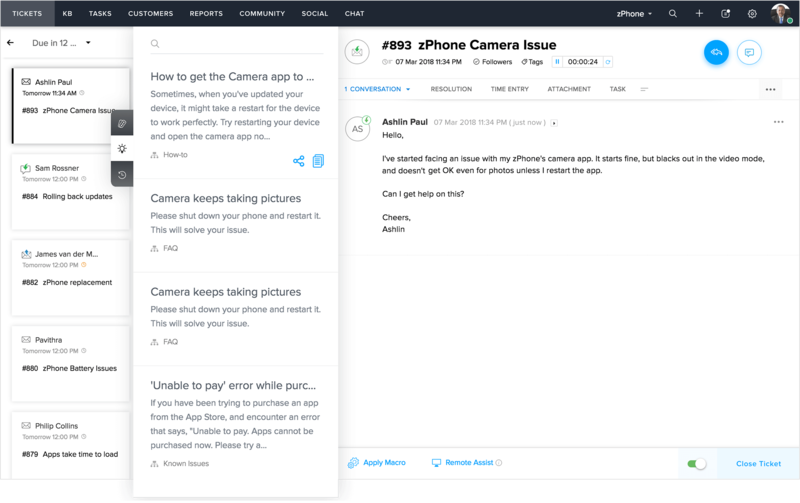 Every email that reaches your customer service team can now be answered better. 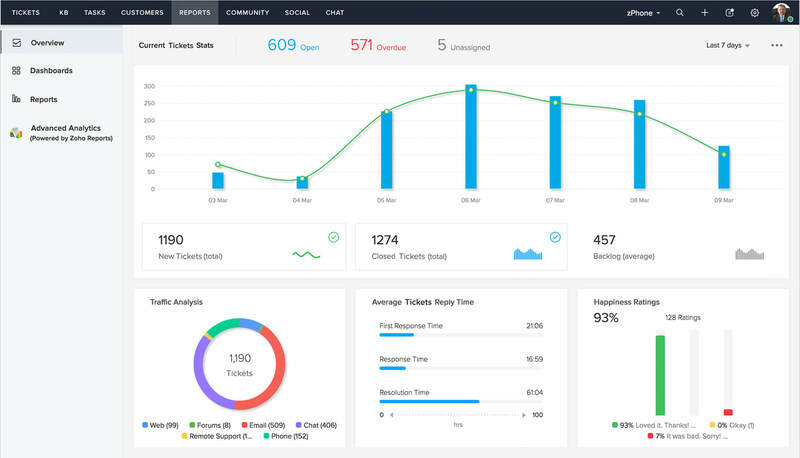 With tools for intelligent automation, more personalization, and granular reporting, your team can offer better customer service without the chaos. 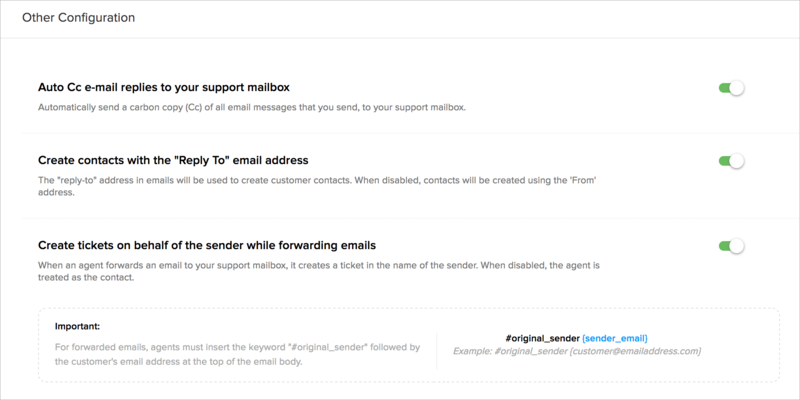 Convert every email you receive into a ticket in Zoho Desk by setting up email forwarding rules. Each of these tickets will be assigned a ticket ID, so you can track it easily. You can also auto-cc every response sent to your mailbox, so that you always have a copy of the response handy! Faster responses for happier customers. Notify your customer as soon as you receive or close a ticket by setting up automated responses. Your agents can compose quick responses using the suggested articles from the Knowledge Base. What's more, they can type faster with Snippets, which are convenient keyboard shortcuts for commonly used phrases. Zoho Desk's advanced reporting tools give you an insight into your team's performance. Through the manager's dashboard, you can focus on the pain points and work to solve them effectively. You can even collect happiness ratings and customer feedback with each response sent. Let the experts handle it. Create different Departments for your Sales, Operations, and Accounts teams to streamline your customer support better. Each ticket that comes to your help desk is routed to the most relevant department. This way, tickets reach the right agents, so they receive the most appropriate responses. Take a free 15-day trial.